Abhyanga Ayurvedic oil massage treatment is a healing therapy for detoxifying the body, mind and soul. This a detox and stress deduction therapy performed with herbal oils made of warmed herbs according to the Dosha type. Kizhi is the most popular and important treatment in Ayurveda. It is an authentic version of pain relieving, remedial treatment. It is done using a warm poultice containing herbs, herbal powders, rice or sand. The Ayurvedic beauty treatment is done through ancient time tested herbs that helps to enhance your beauty and rejuvenate skin natureally. 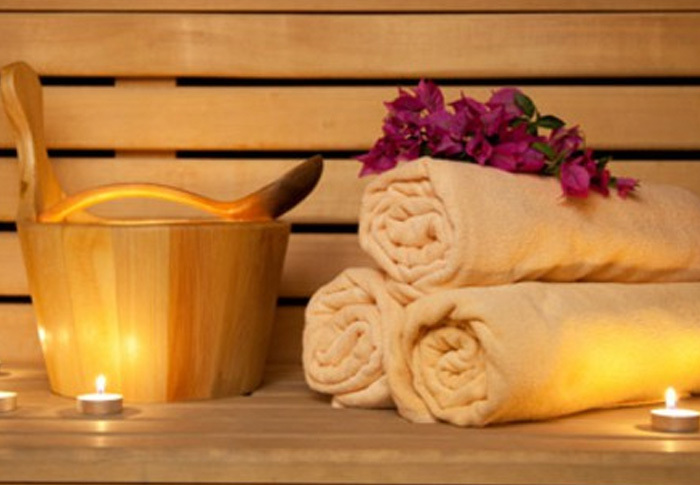 The Ayurvedic beauty treatment will maintain health and increase the beauty of skin. Pizhichil Ayurvedic treatment is a type of massage that not only cure ailments but also helps to maintain health, buildup immunity and strength. This is a mild coordinated oil massage with constantly flowing herbal oils. 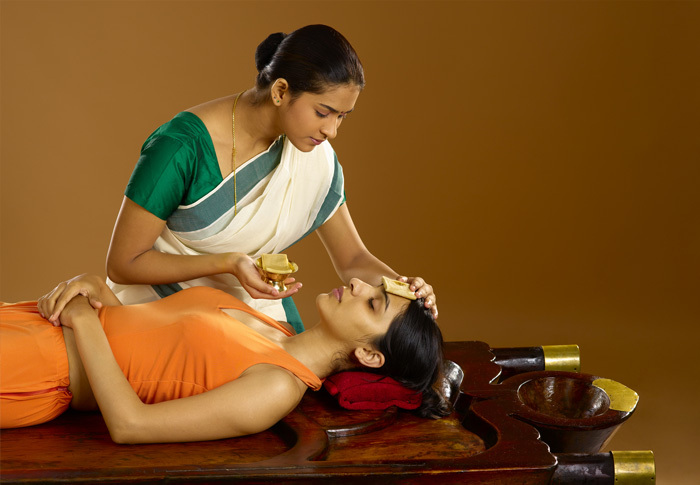 Shirodhara Ayurvedic treatment is a blissful therapy that balances and stabilizes the mind. Shirodhara falls under the umberlla of panchakarma and it is a detoxification program to remove 'ama'(certain toxins) from dosha. Rejuvenation not only helps you in looking young but also make you living young and youthful. Rejuvenation Treatment is done by ‘Panchakarma’ and ‘Rasayana chikitsa’. 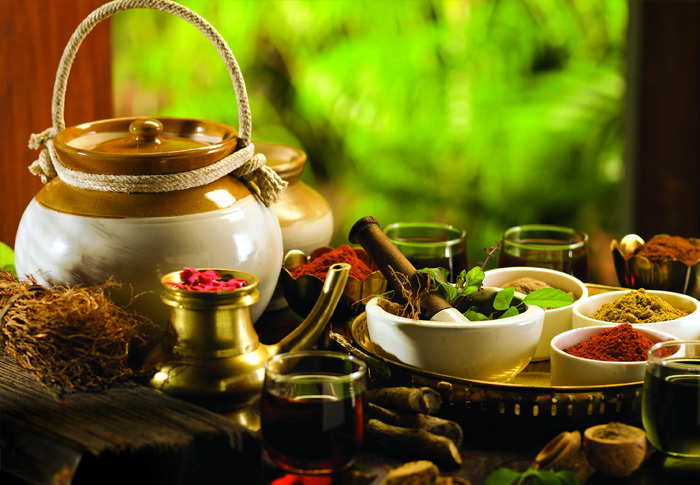 Panchakarma first cleanses the body of impurities and toxins. Shirovasti is a procedure in which the medicated oil is allowed to stay over the head for the prescribed time. It aids in the nourishment of the brain and thereby helps in the improvement of the functioning of the brain. Snehapanam is one of the purvakarma therapies in Ayurveda where medicated ghee is orally administrated to the patient for a specific period. 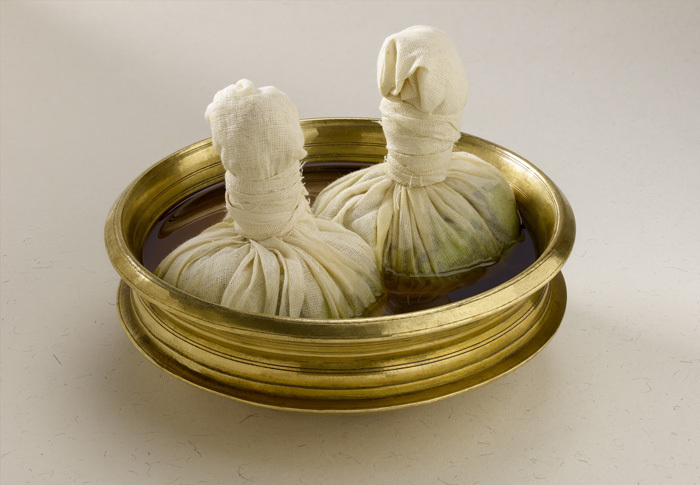 This treatment is mainly done as a preparation of Panchakarma. Ayurvedic Herbal Steam bath is an ayurvedic treatment in which herbal steam is passed through the body after a slight body massage. It removes toxins from our body through the skin. 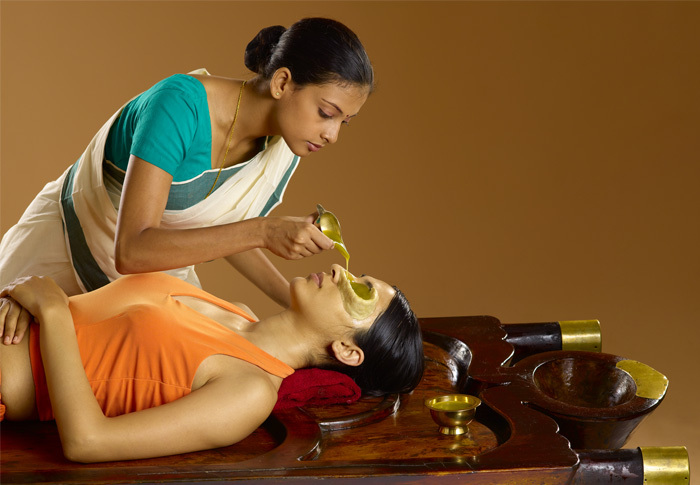 Tharpanam is a rejuvenation treatment for eyes. It is an eye cleansing process and helps to improve eye sight, strengthens the optic nerve and prevents different eye diseases. Udvartana is a panchakarma procedure which involves the application of oils along with a mix of herbal powders which helps in toning and strengthening of the body.